The new hatch has been christened as Celerio and is built and developed on a completely new platform and posses the looks and features to attract even the choosiest person. 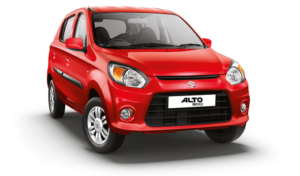 Maruti Celerio will replace the A-Star and the Estilo which are already present in the Indian market for quite some time now. We have already informed you about the different variants that are offered with this new hatch and also the list of equipments that will be available with them. The Celerio is powered by a new 3 cylinder engine codenamed which has a displacement of 998 cc and will generate an impressive amount of power and torque about which we will talk about a bit later in this review. 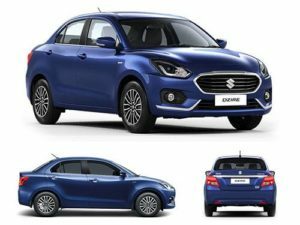 It also features a new type of transmission which is also something new and has been installed in a budget car for the very first time here in India. A weak bottom end is expected with just 125Nm of peak torque available at a fairly high 2,000 rpm but the way around it is keeping the engine in its midrange. The engine isn’t as vibey and noise inside the cabin is well-curtailed to give you a pleasant drive most of the time. Towards the top of the rev band though above 3,000rpm, as the tiny two-pot begins to shriek is when you will find the Celerio a bit unpleasant. The shift quality is good though, clean and quick slots with a clutch that’s a bit heavy but not jumpy. Check for Car Loan Interest calculator. Small cars can be quite fun to throw around corners but the low grip tyres don’t help the Celerio’s cause. Yes the Celerio handles quite well and is very stable at speed but it somehow isn’t as agile as the Honda Brio, a car with which it will rub shoulders in India. Lack of ABS on the Auto Gear Shift model isn’t understandable at all, nor is ABS only being offered as part of an option on the ZXi trim digestible. This comes from a manufacturer who offers ABS as an option on mid-level variants of the Ritz and Swift while making it standard on all diesel trims of the Ertiga. Braking performance is decent but the pedal could offer better feel. 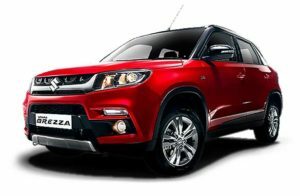 View offers on Maruti Cars in Bangalore at Autozhop. The hatch comes clubbed with the EZ Drive in it, which makes driving the vehicle easy. The EZ technology in the car assures a ride that is hassle free, especially while riding in heavy traffic conditions. The braking system comprises of front and rear drum brakes, which enables immediate braking action. Maruti Celerio is much more safer than the existing A-Star, as the car is bigger in size. The tall boy design gives high driving position, which helps in better upright view of the road. The electronic power steering helps in easy manoeuvering of the vehicle with shorter turning radius. High strength steel side impact beams ensure protection at the doors in case of any side impact. The top-of-the=-line variant boosts dual airbags – one for the driver and the other for the co-passenger. Maruti Suzuki Celerio On-Road Price in Hyderabad ranges from 5,10,420 to 6,48,060 for variants Celerio LXI and Celerio ZXI AMT Optional respectively. Maruti Suzuki Celerio is available in 9 variants and 6 colours. 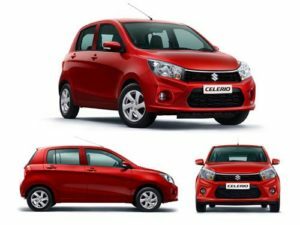 Below are details of Maruti Suzuki Celerio variants price in Hyderabad. Check for Celerio price in Hyderabad at Tryaldrive.